At Aldous and Associates we help our clients collect more money, retain more clients, and drive better results in their business. Our collections efforts set us apart from our competition. 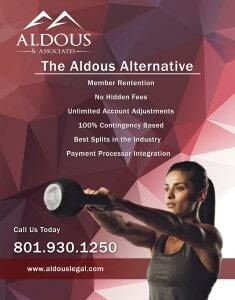 We have helped numerous gyms get more money back to their bottom line.